Adopted on April 18, 2006. On April 18, 2006 the Alabama Legislature designated the peach (Rosacea, genus Prunus, Species P. persica,) to be the official state tree fruit of Alabama. (The blackberry is the state fruit, adopted in 1949. There are thirty to forty varieties of peaches grown commercially throughout Alabama, harvested from early May to early September.) California produces more peaches than all other states combined. South Carolina follows at distant second, followed by Georgia, followed by New Jersey. 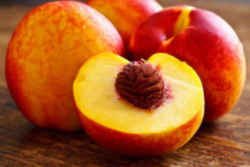 The peach belongs to the family Rosaceae, a large family of herbs, shrubs, and trees distributed over most of the earth, and for plants of the genus Rosa, the true roses. The peach appears to have originated in China, where it was mentioned in literature several centuries before Christ. It was introduced into Persia before Christian times and was spread by the Romans throughout Europe. 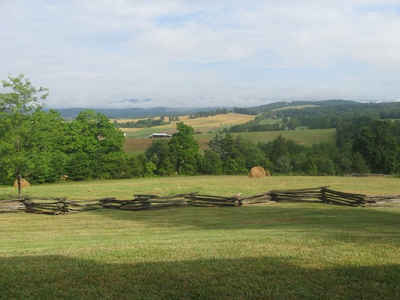 Several of its horticultural varieties were brought by the Spanish to North America, where it became naturalized as far north as Pennsylvania by the late 17th century. 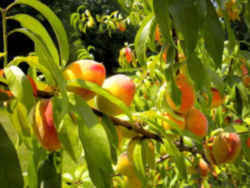 The numerous varieties of peaches under cultivation are generally distinguished as clingstone or freestone. Thirty to forty varieties of peaches are grown commercially throughout Alabama. 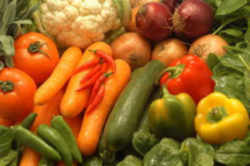 The harvest season begins in South Alabama in early May and is completed in North Alabama in early September. Alabama producers harvest their peaches riper than many southeastern producers who ship them long distances. 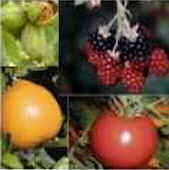 Because fruits are more mature when picked, they tend to have the full flavor of the variety grown. Freshly harvested fruits are available not only in grocery stores but also at roadside outlets and pick-your-own operations. Sources: Acts of Alabama 2006, HB205. Section 1-2-37 - State tree fruit. The Peach, Rosaceae, genus Prunus, species P. persica, is hereby designated as the official state tree fruit of Alabama.